As wine lovers the Barossa Valley is very close to our hearts. Just one hour from Adelaide, it's such a fascinating, exciting, vibrant, colourful and interesting area, rich in history, culture, customs and traditions. 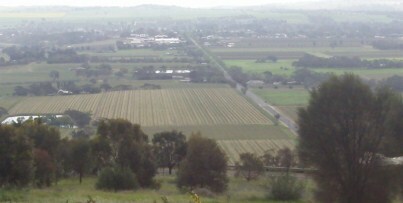 I remember the first time I saw the Barossa Valley, about 30 years ago. It seemed to me it was so green, with row upon neat row of grapevines as far as the eye could see, the gently rolling hills and valleys with an early morning mist slowly rising to reveal another beautiful day of creating award winning wines. You get a feeling of real purpose here. Everybody is on a mission, to grow the best grapes, create the best wine and enjoy life to the full. To list ten things you must do in the Barossa Valley is difficult because there are so many things to do but if you include these activities, you'll come away feeling like you know the place. 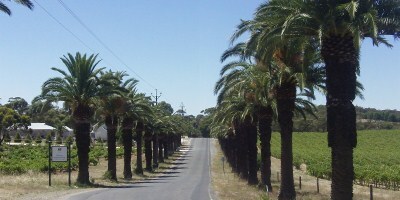 Visit the famous Barossa Vineyards. This is so obvious of course I hardly need write it but having said that, where do you start? There are so many world class vineyards and wineries where do you begin? Perhaps the best way to tackle this is to book into one of the commercial winery tours. That way you'll have a planned itinerary, you'll get to meet some of the people who work in the industry, you'll see some of the best vineyards and wineries and most of the tour guides will give you some background and history of the Barossa on your tour. 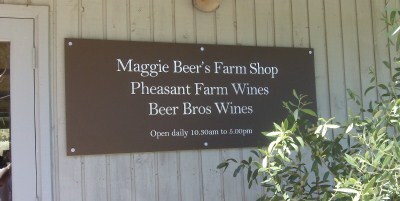 Try the taste sensations at Maggie Beer's Farm Shop. She is now one of the most famous foodies in Australia thanks to the TV shows The Cook & the Chef on ABC TV. A visit to her pheasant farm and shop is a must where you'll find a large range of condiments, preserves and pâtès. I love to sit out on the balcony which overlooks the dam and enjoy a coffee and cake or do some gourmet tastings, have an ice cream or sample some of her other delicious offerings. 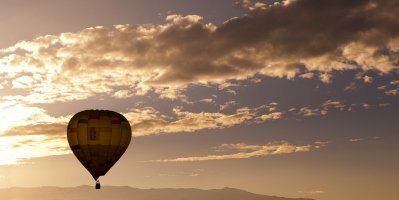 Go hot air ballooning over the Barossa Valley. One of the most exciting and romantic things you'll ever do. I'll always remember our hot air ballooning trip over the Barossa when we were able to reach out over the side of the wicker basket and touch a cloud. WOW, it was sensational. It's an early morning flight and is followed by a beautiful champagne breakfast. Tell your secrets to the Whispering Wall at Williamstown. 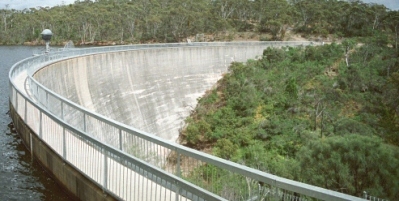 The Whispering Wall is in fact the retaining wall of the Barossa Reservoir which was built around the early 1900's. It was a revolutionary engineering feat for its day and attracted attention from all over the world. But what draws visitors to the Whispering Wall today is its unique acoustic effects. Words whispered into the wall at one end can be clearly heard at the other end which is more than 100 metres away. It's amazing! Children in particular love visiting the wall and test its abilities. Visit the Herbig Family Tree. This is a bit different to your average family tree and has nothing to do with ancestry! 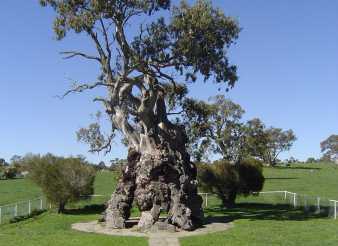 The Herbig Family Tree is a large, hollow red gum tree at Springton, estimated to be 300 to 500 years old and has a diameter of seven metres at its base and a height of 24 metres. The tree was the first Australian home of Friedrich Herbig who arrived in South Australia in 1855. In 1858 when he married he took his new bride to live in the tree and in fact the first two of their 16 children were born there. 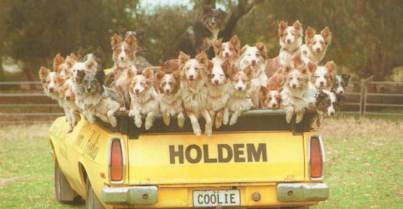 See Norm's Coolies, The Performing Sheep Dogs Show. This is quite a show and popular with tourists from around the world. Norm presents his faithful and obedient dogs in a cleverly choreographed performance as they win the hearts of their audience and give an all-out presentation. Clever and constant training means Norm's dogs are very much in tune with their master and this is evident in their display. See them follow Norm's commands in a clever act that is literally bursting with energy. This show only runs a few times a week so you'll need to check times. Don't miss the Barossa Valley Farmers Market which is permanently located in Vintners Sheds and is held every Saturday morning, come rain, hail or shine. Fresh is the key word here with much of the produce picked only the night before and some stall holders even pick that morning! They get up very early to ensure only the freshest and best produce is available and many of the products are grown organically. It's a hustling, bustling place on a Saturday morning but while you're there you can talk with the producers to find out more about how and what they grow. Check out the Greenock Aviation Museum. This is a private collection of preserved aircraft, replica aircraft, restoration projects, scale model aircraft, and general aviation memorabilia. 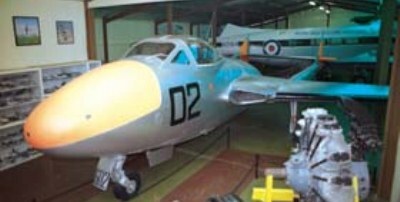 Included in the museum is the largest public display of scale model aircraft in the Southern Hemisphere, with over 1400 models in glass cabinets that surround the walls of the museum. There's also a craft and gift shop located alongside the museum with a range of local arts, crafts, Barossa produce and aviation books for sale. Try the fruit at Angas Park Fruit. 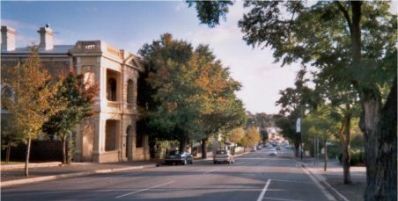 The Angas Park Retail Shop is situated at the top end of the main street of Angaston and offers much more than an extensive range of premium dried fruit products. Whenever we visit the Barossa we top up our dried fruit supplies and indulge in the mouth-watering sights, aromas and tastes! There are some delicious glace and chocolate-coated fruits, jams, sauces and cakes. 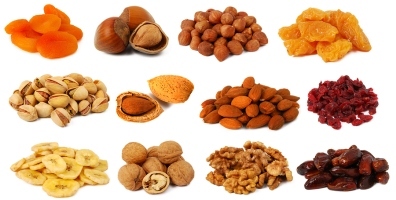 Also available is an extensive confectionery and nut selection for snacking and a tempting range of gift packs for all occasions are also available. Collect a little bit of Barossa Valley history at Antiques and More at 24. This is a classic country antique shop located in the main street of Angaston and selling the best Barossa pieces and many more interesting and eclectic items including china, glass, silver and furniture. The building itself is an original 1860's cottage, which has been fully restored and air conditioned with brightly painted walls and is well lit to create a buyers and browsers haven. You'll be sure to find some treasures in this beautifully presented shop. You'll have a wonderful time in the Barossa Valley and the quality of the wine and food is always evident no matter where you go. There's even more to see and do with a great range of restaurants and some great little B&B's, it's a real food and wine lovers paradise.